Your teeth are important for more than just chewing and speaking. They also play a crucial role in your self-esteem. If you do not like how they look, it is easy to feel insecure about their appearance. You do not have to live with the imperfections. 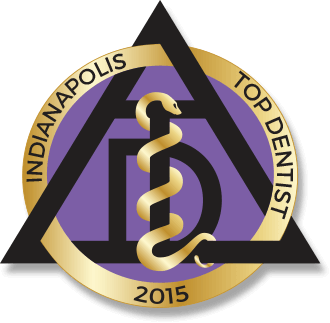 Your cosmetic dentist in Indianapolis can help you get the results you want. There are several simple and effective procedures that can be used to transform the appearance of your teeth. You dentist will create a customized treatment plan to give you the smile of your dreams. Now, you can even see what your new smile will look like before you commit to a treatment. 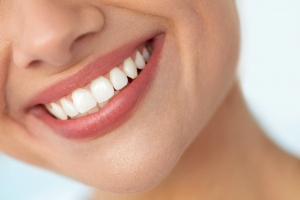 Veneers are among one of the most popular cosmetic treatments because they can be used to correct an array of flaws. By attaching the thin shells to the front surfaces of your teeth, they instantly become shapelier and more proportionate. This also allows them to be used to cover several issues, such as discoloration, chips, cracks, gaps, and minor alignment concerns. Now, veneers are often made from porcelain, allowing them to be thinner. As a result, less of the tooth’s structure is removed to make the procedure less invasive. In as little as two appointments, you can have the smile that you have always wanted. Your teeth will naturally darken over time; however, smoking and certain foods or drinks can cause them to discolor prematurely. This can cause your smile to appear aged and dull. To restore its bright appearance, a professional whitening treatment will help. Using a professional strength whitening agent, the enamel is deeply penetrated to resolve stubborn stains. After just one appointment, your teeth will be several shades whiter with results that will last with the right aftercare. Bonding is a simple and noninvasive procedure to improve the appearance of your teeth. Using a composite resin material, your teeth can be sculpted to improve the appearance of chips, cracks, or those that have an abnormal shape. Often, it can be used to hide discoloration or close gaps. In as little as one appointment, you will have your dream smile with results that will look natural. Now, you can see what your new smile will look like even before you get started. Your dentist will provide you with wax up models to show the results you can expect to achieve using the selected procedures. You can rest assured that you will get the smile that you have always wanted to make a true investment in your confidence with your cosmetic dentist. Since 1982, Dr. Mark M. Farthing has created healthy, beautiful smiles in the community. In addition to general dentistry, he also offers cosmetic services. He can completely transform the appearance of your teeth using the latest advancements in dentistry. If you are ready to get your dream smile, do not wait. Contact Indianapolis Family Dentistry today to schedule your consultation.